These Salted Hazelnut Chunky Monkey Bites are about to become your new favorite treat! There is no baking required, comes together in 15 minutes, and only contains 6 ingredients. 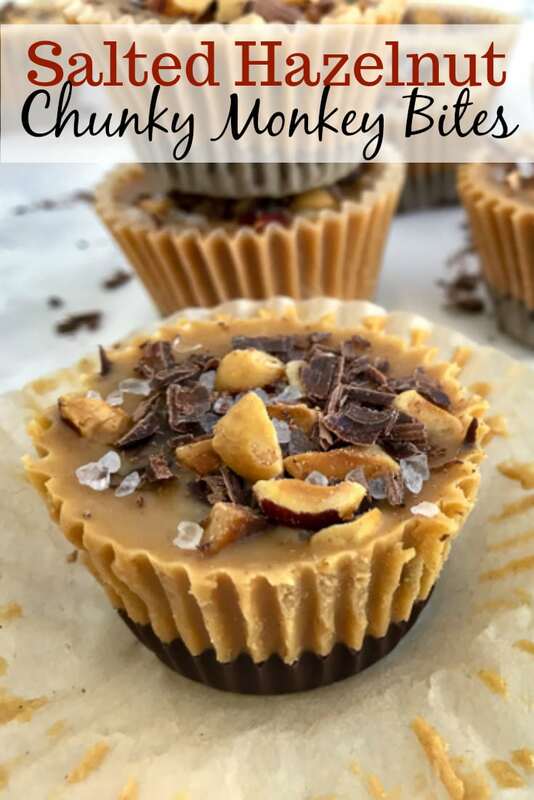 If you’re a fan of chocolate, peanut butter or that sweet and salty combination, then you will absolutely love these bites. Easy to make, gluten-free, and made with healthy ingredients. 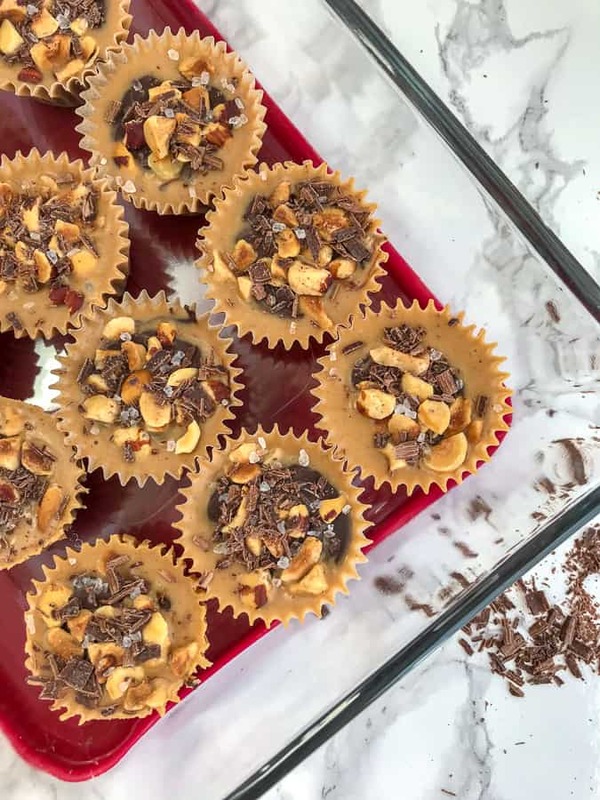 These Salted Hazelnut Chunky Monkey Bites are easy to make, a fun activity for kids to help in the kitchen with and the perfect bite-sized snack when you’re needing a quick sugar tooth fix! There is no baking required. All you need are bananas, semi-sweet chocolate chips, creamy peanut butter, coconut oil, hazelnuts, and coarse sea salt. That’s it. If you don’t think the little ones will like the hazelnuts and sea salt topping, make a few of them with sprinkles or extra chocolate chips! If you or anyone in your home has a peanut allergy, you can easily swap the nut butter for almond butter or cashew butter. Dairy allergy? There are semi-sweet chocolate chips available that are dairy-free. You can find them in the same aisle as regular chocolate chips. Not a fan of the sweet/salty factor? Swap the toppings for your favorite nuts, seeds, sprinkles or chocolate chips! 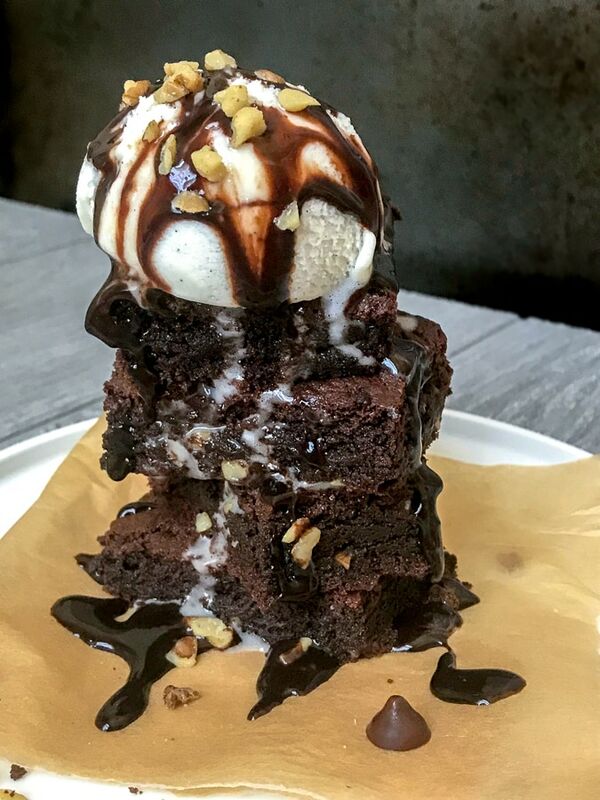 You can never have too much chocolate, right? 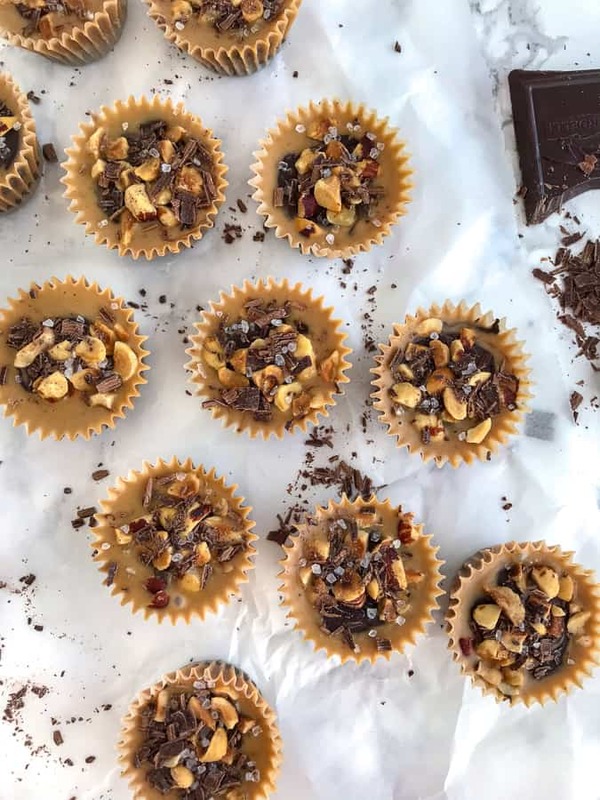 These Salted Hazelnut Chunky Monkey Bites are so easy to make! You’re going to love the simplicity. Especially for how delicious they are. Melt chocolate in a small saucepan over low heat. Stirring until fully melted. Remove and allow to cool 1-2 minutes. Combine peanut butter and melted coconut oil. To each liner, add chocolate, a banana slice, peanut butter, and then more chocolate. Top with chopped hazelnuts and freeze for 1 hour. Remove and garnish with sea salt and shaved chocolate (optional). Easy peasy lemon squeezy, right? Told you! The hard part is not having more than 2 or 3 at a time. HA. 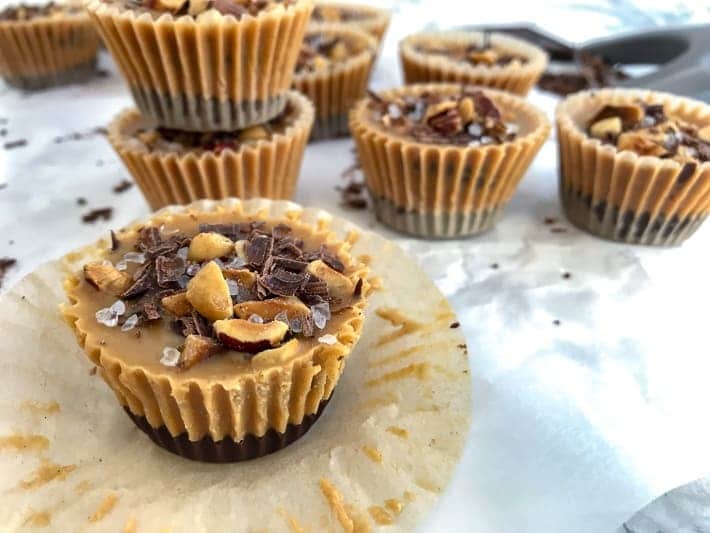 I find it best to add these bites to mini cupcake liners and freezing them within a mini cupcake pan. 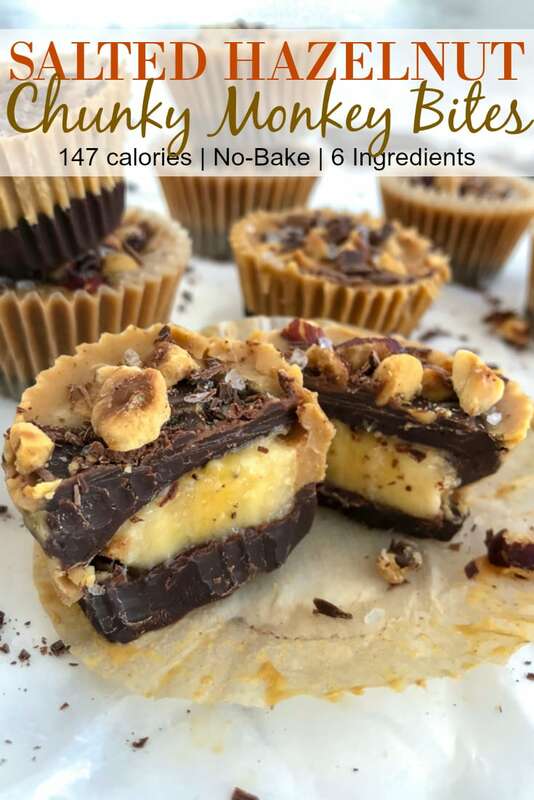 I eel that it helps them keep their shape if confined considering the peanut butter and chocolate will be runny/melted. 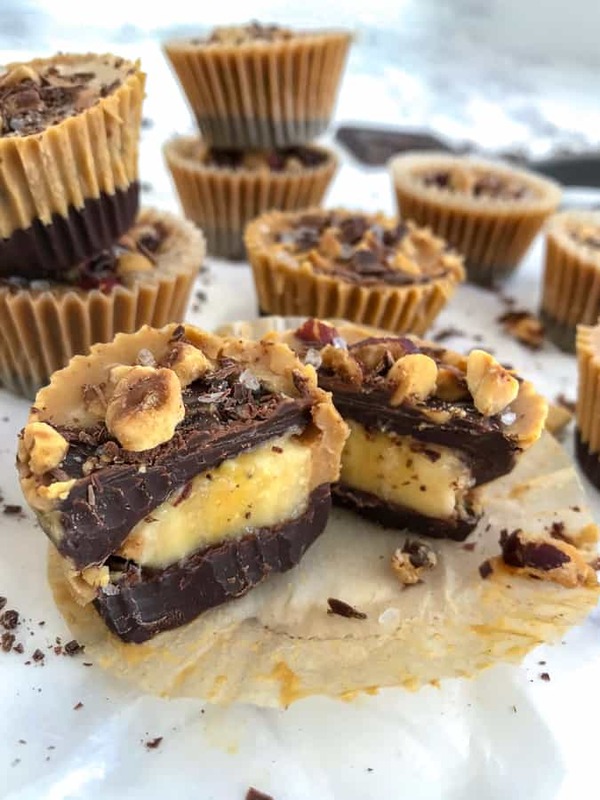 If you don’t have mini cupcake liners and the mini cupcake pan, then you can simply dip a peanut butter (minus the coconut oil) topped banana slice into the chocolate, place onto a piece of parchment paper to solidify, and top with hazelnuts. These keep best frozen. Simply remove one from the freezer when ready to indulge and allow to sit for 2-3 minutes before sinking your teeth into it. If you don’t have coconut oil, simply omit and spread the peanut butter over the top of the banana slice before adding it to the liner. Then top with more chocolate. 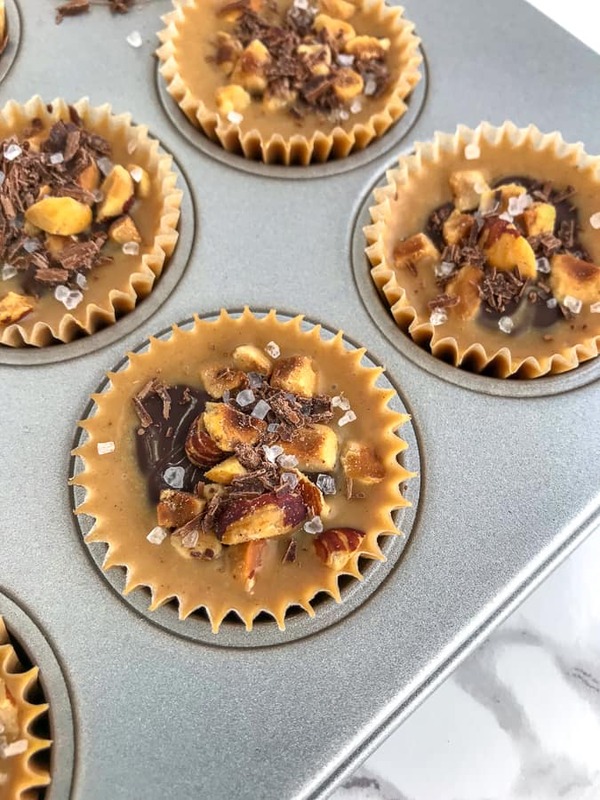 Mini Parchment Baking Cups – these are so easy to use, whether making frozen bites like these or with baking. They remove easily. Never stick! Coconut Oil – not necessary in this recipe, but is a great way to get some healthy fats into your diet! Mini Muffin and Cupcake Pan – this brand is always the best and affordable. 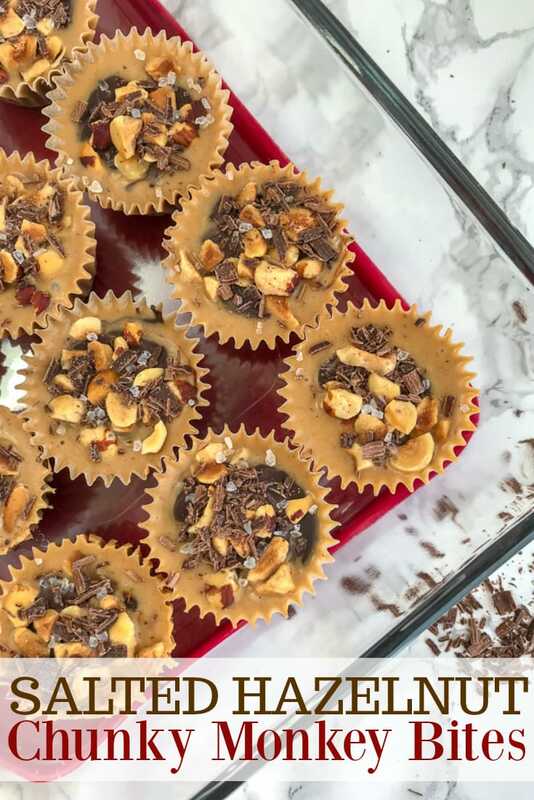 Salted Hazelnut Chunky Monkey Bites are the perfect, easy and kid-friendly treat! Made with bananas, semi-sweet chocolate chips, and peanut butter. They are guaranteed to become a fan-favorite in your home. The perfect guilt-free sweet tooth indulgence! Place mini cupcake parchment liners into a mini cupcake tray. To a small saucepan over low-heat, melt the chocolate chips. Stirring as they melt. Microwave: Add chocolate chips to a medium, microwave-safe bowl and heat in 30-second intervals, stirring between each, until melted. Melt coconut oil in a microwave-safe dish for 10-15 seconds. Remove and combine with peanut butter. Place into the freezer for a minimum of 1 hour. Serve garnished with coarse sea salt and shaved chocolate, if desired. Best if stored frozen. Will keep up to 1 month in the freezer. When ready to enjoy, simply remove from the freezer and let sit for 2-3 minutes before indulging. 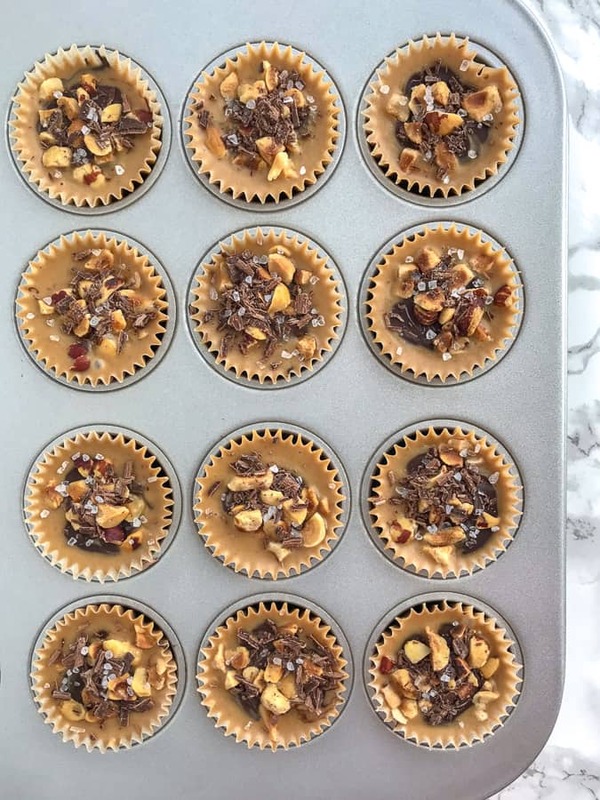 I find it best to add these bites to mini cupcake liners and freezing them within a mini cupcake pan. I find that it helps to keep its shape if confined. 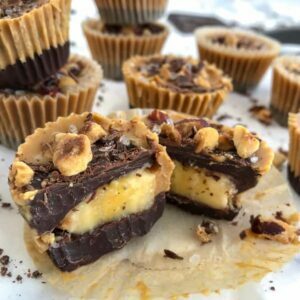 If you don't have mini cupcake liners and the mini cupcake pan, then you can simply dip a peanut butter (minus the coconut oil) topped banana slice into the chocolate, place onto a piece of parchment paper to solidify, and top with hazelnuts. If you don't have coconut oil, simply omit and spread the peanut butter over the top of the banana slice before adding it to the liner. Then top with more chocolate.